The 2019 retail-opening plan for the Natuzzi Italia brand is continuing successfully. 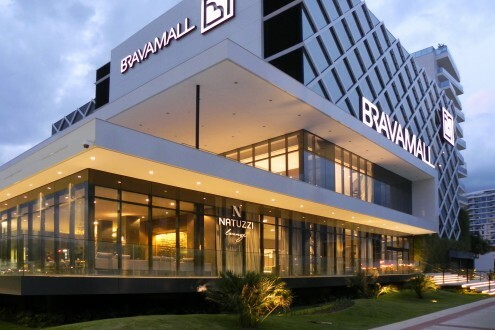 The new opening took place in Brazil, in the city of Balneário Camboriú, Santa Catarina that coincides with the ribbon cutting of the brand new BravaMall, the first shopping lifestyle in southern Brazil. The new store includes seven roomsets in 218 square meters that express the best of the new Natuzzi Italia collection. Nevertheless, the exclusive feature of the Balneário Camboriú retail project is the integration of the concept with a Natuzzi lounge bar, conceived with the aim of amplifying the “shopping experience”. The lounge bar spread over 115 square meters and will allow consumers to live a unique, new and multi-sensory experience. An exclusive place where design and food come together. Food and style, food and design, food and fashion. Perfect binomials that are increasingly close in this era. A new interpretation of beauty and tasteful: this is how Natuzzi Italia continues its evolution in a lifestyle brand able to attract consumers all over the world not only for the quality of its products but also for the key values ​​of the brand.